In February, Sustainalytics has placed Rabobank at the top of the sustainability rankings for major banks. This means the bank received the highest score for how it applies Environmental Social Governance (ESG) data in its services and approach to risk. Sustainalytics has concluded that the risk of Rabobank incurring financial damage due to environmental and social policy is negligible. This risk is relevant to institutional investors who wish to invest in sustainable companies. Rabobank held the 62nd position in the rankings just four years ago. The bank earned a top 10 place for the next two years before going on to seize the number two position last year. “Rabobank’s number one position this year speaks volumes about how we’re successfully putting into practice the ambitions set out in our Sustainably Successful Together strategy,” says Bas Rüter, Director of Sustainability at Rabobank. Sustainalytics is the global leader in sustainability research and ratings for investors. The assessment considers both the content of the sustainability policy and how the bank applies it in practice. 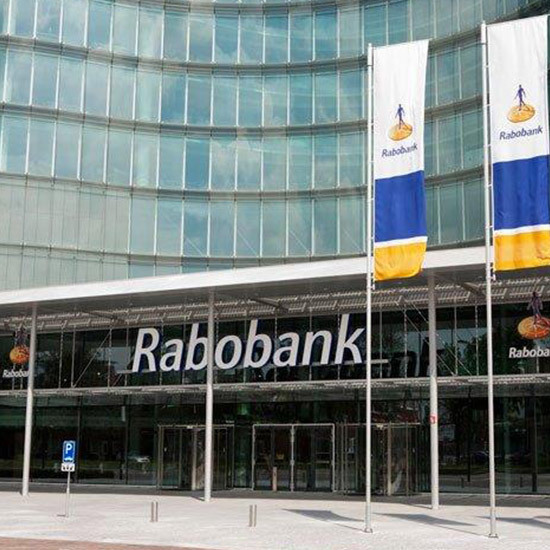 Rabobank received the best score of all the 294 major banks included in the assessment. Rabobank earned high scores on corporate policy, product policy, human capital and integrating ESG data into its lending operations. While the scores on data privacy & security and business ethics are slightly lower, the risk remains low. For more information on Rabobank visit www.rabobank.com.